An artist from MAC Cosmetics painted a woman as a comic book character for Halloween — right down to the dot printing style of old comics books. 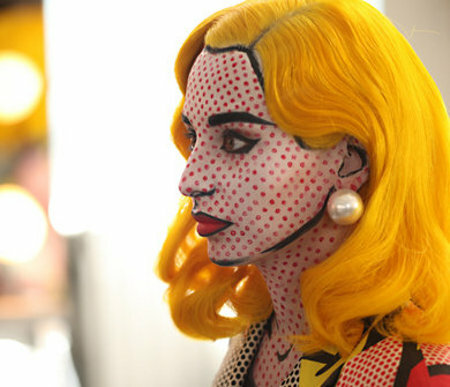 Or, alternatively, as a figure from a Roy Lichtenstein painting. The pictures were taken by publicist and photographer Tasha Marie. You can view more at the link.